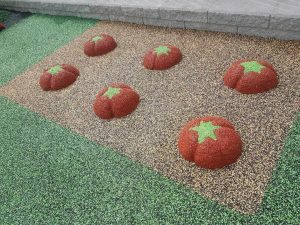 Poirier Park, located in Coquitlam, BC was designed with maximizing the play value of the rubber surfacing in mind. 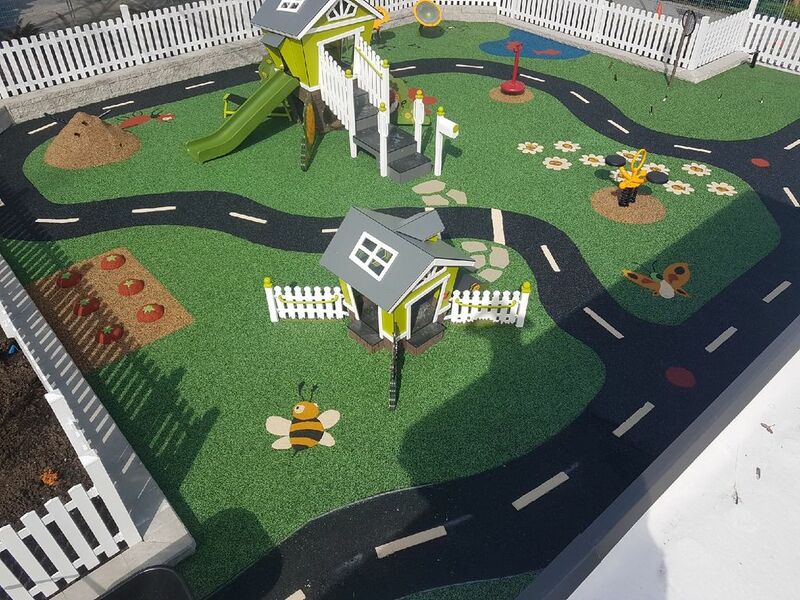 Marathon’s in house designer incorporated 3D rubber elements to promote creative and imaginative play opportunities. 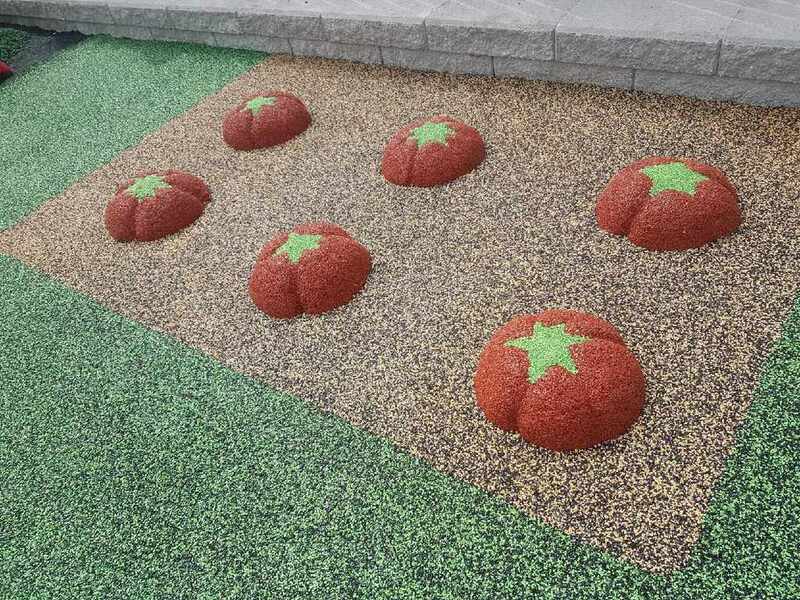 These playful design features included an anthill, raised tomato mounds, animated winged insects and meandering roadway.